Wesley Goodnight graduated with a BSCE from Christian Brothers University in 2002. After working in the geotechnical field for 6 years at Golder Associates Inc., where he traveled the world performing investigations for LNG/LPG facility expansions, he returned to Memphis in 2008 to take a position with EnSafe Inc. During the last 9+ years at EnSafe, Wesley has concentrated on remediation projects involving petroleum and chlorinated solvent contamination. He has been fortunate to be able to design, install, and operate the different types of treatment systems which clean up contaminated sites. Wesley is currently a Project Manager in the Engineering Services division of EnSafe, working out of their Memphis corporate office. Wesley is currently a Director in the ASCE West TN Branch, ASCE TN Section Student Chair, and ASCE TN Section President-Elect. Wesley is newly married to his wife Emily and they have 2 dogs (black lab mixes) that currently count as their kids. Wesley likes doing carpentry and working on his antique car in his spare time, which has gotten less spare after getting married. Past President | Helen Hennon | P.E. Helen is a registered Professional Engineer with a B.S. in Civil Engineering from Tennessee Technological University (1992), and an M.S. in Environmental Engineering from UTK (1994). Helen works in the Design Services Group of the University of Tennessee Knoxville’s Facilities Services Department as a Project Manager. She manages multiple building projects ranging in the millions of dollars for the University. Helen currently serves as Treasurer of the Knoxville Branch of ASCE, and is the upcoming new President of the Tennessee Section of ASCE. She has served as Vice President and two times as President of the Knoxville Branch. Helen and her husband Ken have a daughter who is a senior in High School, and a son who is a sophomore in High School. Helen organizes the monthly meetings for her book club and serves on the Troop Leadership Committee for her son’s Boy Scout Troop. Lukas Salyer is employed as a Technical Resource Engineer for Forterra Drainage Products (formerly Sherman Dixie Concrete Industries). He assists Engineers, Municipalities, and Owners with Design and Specification of projects which benefit from the use of Precast Concrete Products. Mr. Salyer also provides Educational Training Courses on a variety of topics related to Infrastructure. Lukas joined the Forterra team in October of 2014 and carries over 10 years experience of Sales Management and Technical Marketing within the Professional Construction Industry. He has worked with both Engineers and Architects in the East Tennessee area on a variety of both Public and Privately funded projects. Lukas has served in several directorial roles for a variety of professional trade organizations, and most recently served as President for the ASCE-Chattanooga, TN Branch, as well as Vice-President for the ASCE-Knoxville Chapter’s Young Member Group. Mr. Salyer also serves on ASCE-Tennessee's Infrastructure Report Card Committee. Additionally, Mr. Salyer is actively involved with the Tennessee Society of Professional Engineers (TSPE), Tennessee Infrastructure Alliance (TIA), and the Tennessee Road Builders Association (TRBA). Vice President | Eric Gardner I P.E. 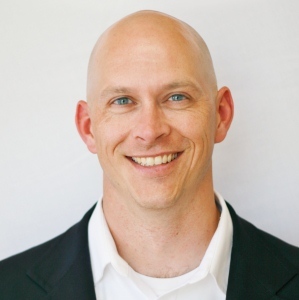 Eric grew up in Southern Indiana and graduated from the University of Evansville in 1998 with a degree in Civil Engineering. While pursuing his engineering degree, he played four years of varsity football at Evansville. After college, he moved to Nashville and began his career as a consultant, doing mostly roadway design. He then worked for the City of Franklin as the Director of Engineering and for Advanced Drainage Systems providing technical support for different stormwater and sanitary sewer products. He is currently a Project Manager for Civil & Environmental Consultants, Inc. He has a unique professional background, having worked for engineering consulting firms, a municipality and a product manufacturer. He lives in Franklin with his wife, Jenny and their three daughters, Grace, Lyla and Piper. Eric enjoys spending his free time hunting, fishing, being with his kids and playing sports or games. He is a huge St. Louis Cardinals baseball fan and loves to watch and talk about all sports. He is also is involved in many local professional and civic groups such as Habitat for Humanity of Williamson County and Grassland Athletic Association. Secretary | Ashley Smith | P.E. Ashley is a Vanderbilt University graduate originally from San Antonio, Texas. She received her Bachelor of Engineering in civil engineering. Ashley is currently a Senior Project Manager for CDM Smith in the transportation group. Her background is in civil site design as she has worked on municipal, commercial, healthcare, hospitality, mixed-use, and residential projects throughout the country. She married Jared, another Vandy graduate, and they have two daughters. Ashley is an ASCE Nashville Branch Past-President, current Board Member, Practitioner Advisor to Vanderbilt, Newsletter Editor, & former Younger Member Chair. She has also been the TN Section President, Student Session Chair, Younger Member Chair, and Webmaster. Ashley was a big sis through Big Brothers Big Sisters for 8 years and is an avid Vanderbilt sports fan. In her spare time, Ashley enjoys playing and watching all sports, traveling, scuba diving, skiing, going to concerts, and relaxing on beaches. Treasurer | Ted A. Kniazewycz | P.E. Ted is the Director of the Structures Division at the Tennessee Department of Transportation. Ted is a graduate of Tennessee Tech and began his engineering career with the Tennessee Department of Transportation in the Structures Division. He also served as Metro Nashville’s Bridge Engineer and as the transportation structural lead at Gresham, Smith & Partners prior to rejoining TDOT. 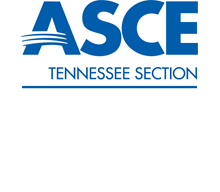 Ted has been active in ASCE since his student chapter days at Tennessee Tech where he worked on the concrete canoe and technical paper presentation. He has served as Nashville Branch President and continues to serve the Tennessee Section as Treasurer and ASCE at the societal level as Region 4 Past-Governor after 11 years of service. In his free time, he is active in Boy Scouting and is most proud of this three Eagle Scouts. He is married to Susannah who is also a civil engineer and they reside in Mount Juliet area just outside of Nashville.